I've a special project for you all there. 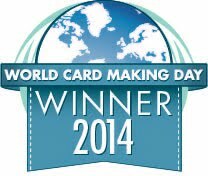 Head over to PMB Blog for the full reveal. Hello and Happy Saturday Everyone!!! Welcome to Timeless Twine New Release hop!!!!! White on white is my favorite combo to create with...I love the color white!!!! 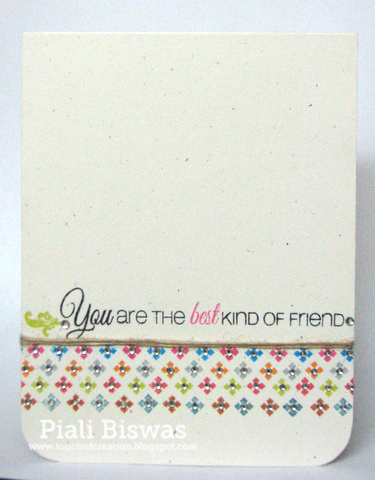 The Natural Baker's twine is a perfect match to Bazzill Card Shoppe- Butter Mints cardstock. I used some Pink Paislee DP for the leaves. I just made a simple twine flower...on a round cardstock I applied glossy accents and simply looped the twine on it like flower petals...then added a button ....easy peasy!!! Simon Says Stamp: White on White. Paper Issues: Use Twine or Lil' Bags. Make sure to check TTBLOG for the complete hop list. Hello and Happy Friday !!! Are you ready for a new CASual Fridays Challenge??? 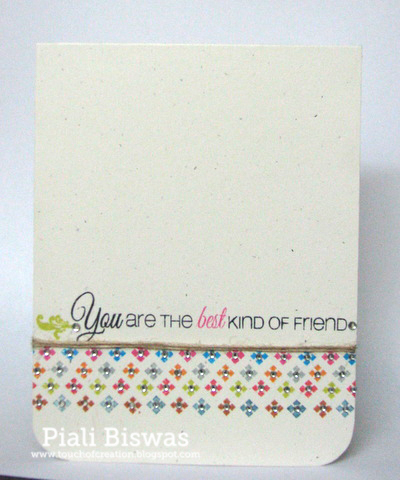 A very Simple yet sweet card!! I used all 3 new released stamp sets for this card.... BEANSTALK, ONLY YOU and BREATHE. Little Red Wagon : Use the word "Love". 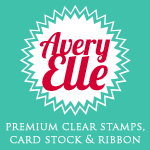 Loves Rubber Stamps: All about love. Make sure to check out CFC blog for all the challenges details and Gorgeous DT inspirations!!! CFS Sneak Peek Day #3!! 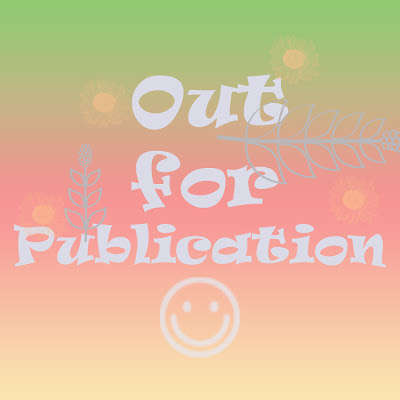 Today I've another sneak peek of new CASual Fridays Stamps!!! I used ONLY YOU set for my card..
Love the wonderful sentiments in this set. I created the lovely border a stamp from this same set. Amusing Challenges: All About You. 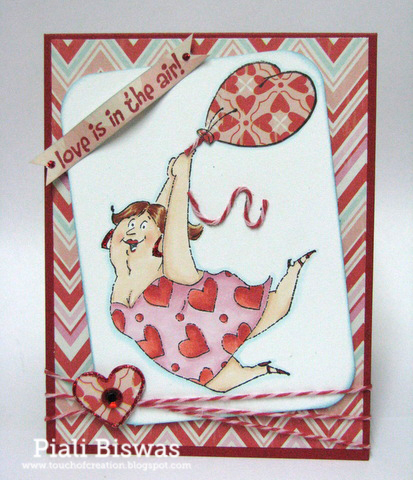 Now hop over to CFS Blog to check out amazing DT and GDT creations. Here is a sneak peek of CASual Fridays Stamps February Release!!! A simple card with a wonderful sentiment. 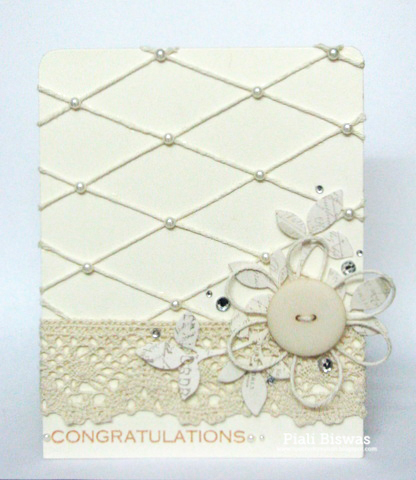 I used Crate Paper-On Trend paper and Doodlebug gems for this card. 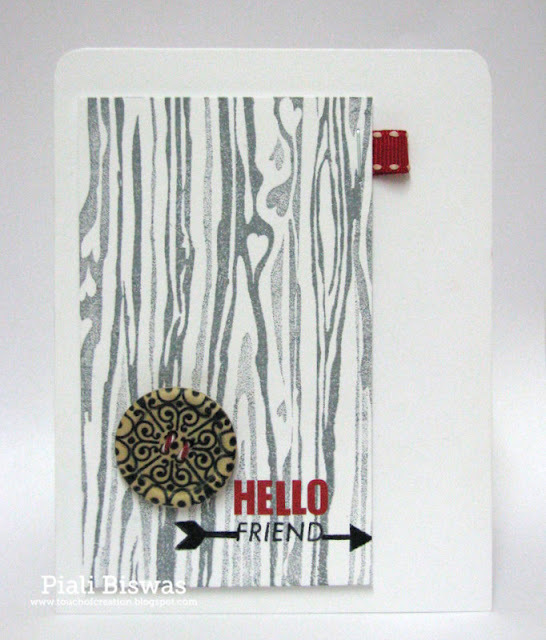 I loooooooooove the Brush Stroke image...it can be used in many ways.I'm sure you all will see this stamp on lots of my creations. House of Gilli: Anything goes with Pink & Bling. Make sure to check out the fabulous DT and GDT creations over at CFS Blog. Make sure to stop and check it out!! Looooove the Fresh Baked kit!! Hope you're enjoying the weekend...I've a super busy one, visiting my Mom and she is having a surgery. Its my turn to share a Twine project over at TWINE.OLOGY blog. I made a fun embellishment with Strawberry Cupcake Twine and die cut hearts. Check out Timeless Twine blog for the details. 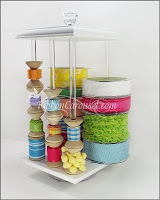 Craft Room Challenge: Handmade Embellishment. Valentine's Baker's Twine is on Sale...just for $7.00. So I made card with a common saying in most the romantic song.."I love you"
I used the XO die from Wplus9 and sentiment from Penny Black stamps for this card. Fab 'n' Funky: Valentines/ Heart. Hop over to CFC blog for all the details and lovely DT inspirations. 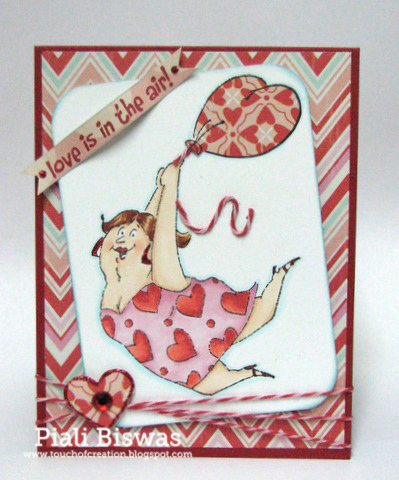 Another super fun image from Art Impressions stamps. 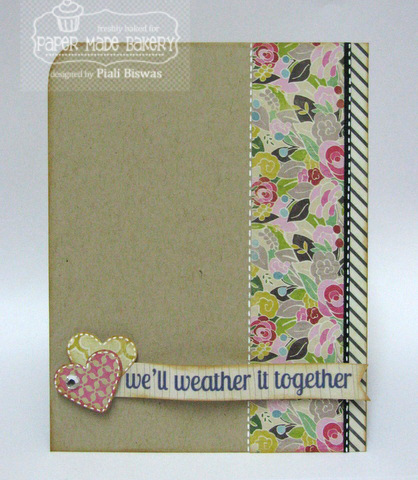 I used the new American Crafts paper pad and Strawberry Cupcake twine( Timeless twine) . Created With Love: Valentine's day. Creative Stamp Friends: Valentine's day/heart. You have until February 28th to play along. 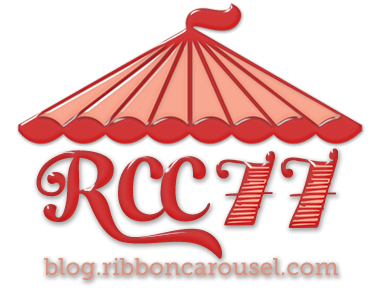 The random winner of the Ribbon Carousel will be announced on Monday, March 4th! 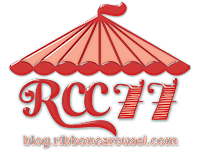 Hop over to RCC Blog to check out the fabulous DT creations. Hello & Happy Sunday !!! Make sure to stop by and leave some love .....THERE. Love is in the Air Valentines Day Blog Hop!!!! Welcome to Timeless Twine's "LOVE IS IN THE AIR" Valentines Bloghop!!!! If you here from uber talented Melissa Shea's Blog you right on track...if you're just joining me now please visit TimeLess Twine blog to start the hop. Looooooooooove this image from Ai stamps. 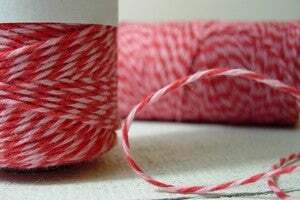 I used lovely Strawberry Cupcake twine ...awesome color combo pink and red...just perfect match for the lady dress. I paper pieced the balloon and used twine for the balloon string. The DPs are from My Mind's Eye. Aud Sentiments Challenge - Adult Valentine. Make sure to visit all the lovely DT ladies and check out their fabulous creations!. Next stop is Shannon Morgan. 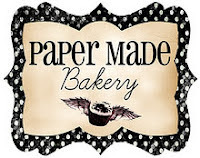 Welcome to Paper Made Bakery New Release bloghop!!! 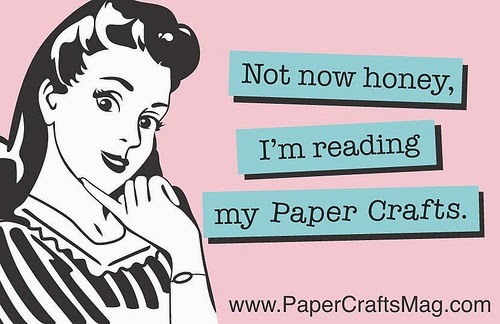 I looooove the CRATE Paper -On Trend paper pad. 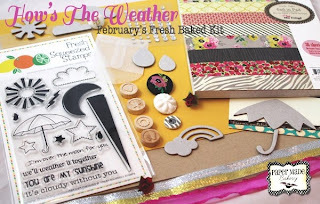 This kit also have a BRAND New stamp set from Fresh Squeezed stamps called Weather Through. A very simple card a Great sentiment!! 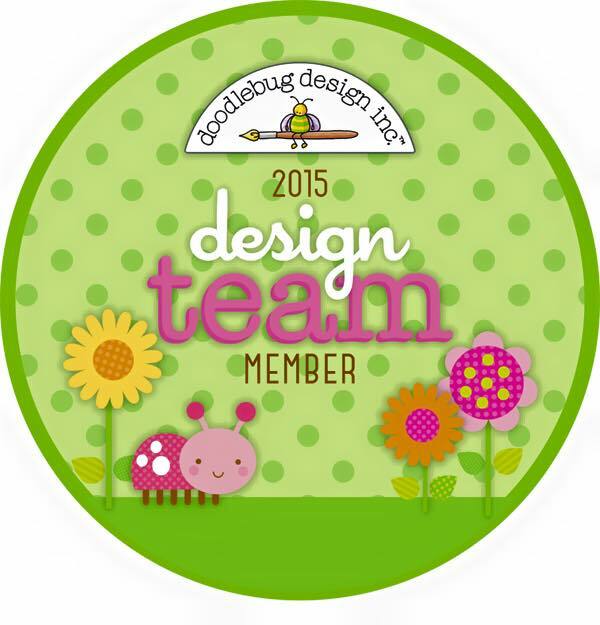 Make sure to hop along with us to meet the new PMB DT and check out their amazing creations. 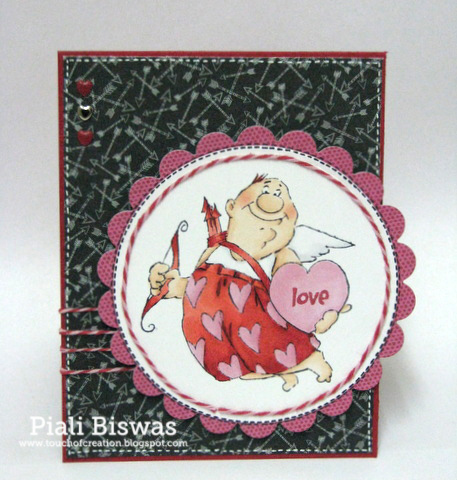 Piali Biswas -- That's Me!! 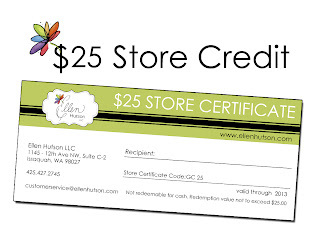 Click on the BUY CURRENT KIT tab to buy on Subscription tab to subscribe for the Baker's Dozen Kit!! One lucky hop will win.... HEARTS AND GOODIES prize pack. Its time for this week's CAS-ual Fridays Challenge! Use Letters...stickers, diecuts or any types of letters. I used my new Hero Arts stamps for this one. The lovely button is from Bella Blvd. 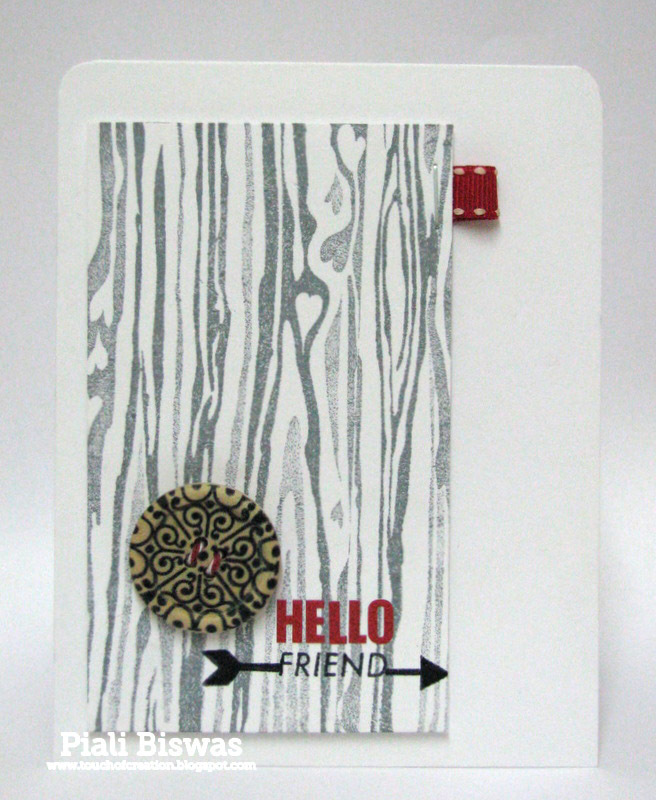 Red "HELLO" ....letter stickers from Fancy Pants. Crazy Amigo Challenge : red, Black & white.